Note: This was written by Liči (Lucie) Ličmanová who starts with us in June! 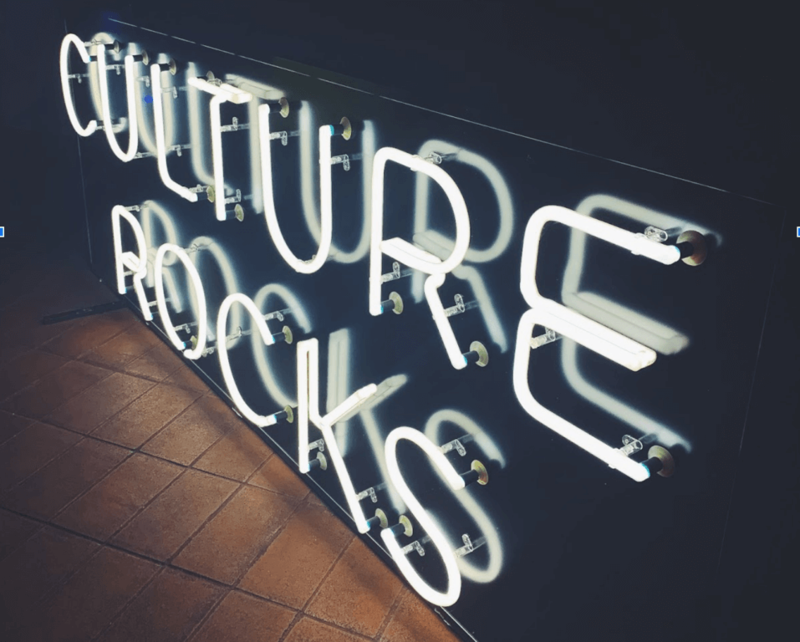 Earlier this month, our friends at Cocuma put on an amazing event for people passionate about taking company culture to the next level – Culture Rocks Vol. 5! So forget about all those boring HR conferences with tired recruiters from old school personnel agencies and corporate HR managers. Cocuma loves working with companies to build the kind of company culture that attracts the best of the best. They are an essential part of the Czech startup scene! Culture Rocks is not just a conference. It’s a talk show that explores all aspects of company culture, such as the employee experience, workplace atmosphere, and positive and friendly vibes. You might typically expect a parade of speakers talking in front of a presentation podium, but that’s not the case here. Everyone participated in an authentic and open discussion. It’s what makes Culture Rocks so unique. Well, that and the rumble of the drums from inside the magnificent chapel of the Sacre Coeur! Cocuma knows how to organize a very different kind of conference. This year’s conference focused on the spirit of the tribes. As Cocuma’s tribal leader Petr Skondrojanis said, “A great company is like a tribe. It has rules, it’s open, it has rituals, and people feel a very strong sense of community. Every great company should have a leader, who leads the tribe in the right direction.” We heard stories from some of the great leaders who focus on their people. Diana Rádl Rogerová from Deloitte enthusiastically told us about her strategy for hiring amazing colleagues. She focuses on candidates who bring both diversity and a complimentary set of skills to her team. Diana always makes sure to discover each candidate’s real strength, not just what they say it is. After hiring them, she makes sure to create an environment where her new colleagues can truly express themselves and realize their potential. Jiří Boudal, co-owner and managing director of Behavio Labs, encouraged discussion using the Minute app, which is a fun tool for measuring and improving employee motivation. We also heard from Jiří Štěpán of Etnetera, Martin Bazala of Raynet, Robert Krejča of Inventi Labs, and Radko Sekerka of Rockaway Capital. We also had a lot of fun with all the networking, cotton candy, smoked cocktails, and an awesome after party with a great DJ! In thinking about everyone I met and that I heard from, the whole event helps me remember and focus on the idea that a company’s culture is all about its people and the unique character of each individual. It’s more than branding, promotional materials, and even football tables at the office! Every single person within your company is a cultural co-founder. Every single new hire is setting the cultural bar higher. All in all, it was an absolutely fantastic event. Thumbs up Cocuma! #KEEP CALM AND LEAD YOUR TRIBE. Howgh!